It was 1993 and I needed a new car and the new Ford Probe, at least to me, was the hottest thing on the market that I could afford. After purchasing the Probe, I performed a full system installation. 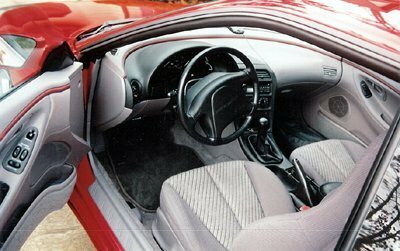 If you are not familiar with the Probe, it is a two door sports sedan with a small, though semi-adequate rear seat and a roomy rear hatch. As far as vehicles go, the Probe is not a bad environment for a high-end sound system and seems to have a very acoustical interior. Below are some particulars concerning Probes and its good/bad points. speaker grill is kept, which will not allow any buildouts. Few 8" drivers will fit, but some companies like Morel did make slim drivers that could be utilized. Tweeter positioning can be touchy in this car. Due to the curvature of the door panels, installation there would require extensive customization. An easy mount location is on the mirrors sail panel. Imaging from there is adequate, but will require custom pods to get a proper image. A major problem I have noticed with the doors are the plastic panels themselves. If the door panes are removed often, the panels will not stay. This requires adding additional screws to the panels to keep them from moving and vibrating. There is also a seam where the bottom of the door meets the top that has an inadequate connection. Both of my door panels have come apart at this seam and have had to be repaired. Kick panels can be used. There is plenty of room on the passenger side, but the drivers location is also the location of the fusebox which makes for a more difficult installation. Also, if the vehicle is a 5-speed, a kick panel could easily be a nuisance to someone with big feet. But, the big issue I have with kick panel installations in this vehicle would be with distortion of the front image. The curvature of the dash and the space taken up by the drivers legs and feet would severely muffle the sound. And, forbid that a passenger is in the car, or you have then lost the right channel due to the same reason. The number one problem with the door is that all door wiring goes through a modular connector. This modular connector cannot be easily modified to handle14 gauge wire without removing the door first! The rear speaker location, which have 5x7 cutouts, is a nice area to install a mid-bass driver or a mid for rear-fill. There is plenty of depth where even a subwoofer could be utilized here if necessary. 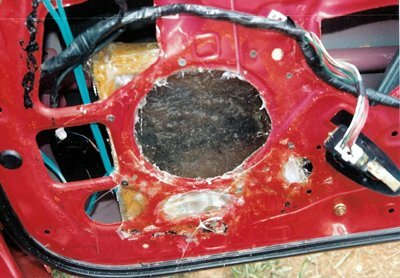 Getting the rear panel off can be a chore and requires the removal of the rear hatch panels first so that a plastic retainer can be removed. Also, similar to the front doors, there is another bad seam. 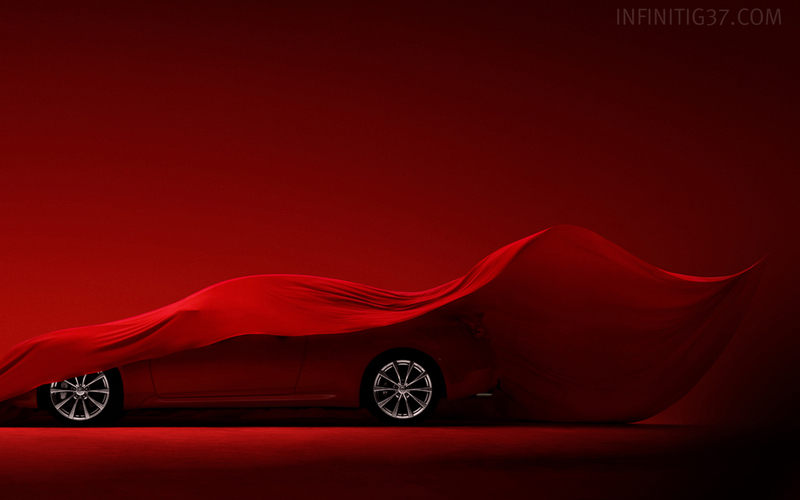 The rear panels wrap around the door jam and hides the lip where the inner and outer skins meet. At this point, the panels have a seam and extreme caution should be used when removing the panel to avoid breaking the thin plastic lip off of the panel. The panels have an interesting curve, which just happens to be where the speaker grille is. Replacing the factory 5x7 with other sized drivers will require the modification of the panels grille. Installation of a mid-bass or woofer here will require the use of some sound deadening material to be used to keep the outer-skin from humming. If separates are used in the back, there is a flat location on the rear hatch panels just past the point where these panels meet the interior side panels. This location works great for a tweeter and allows the output to spread out after reflecting off the rear hatch. I have also seen installs where the rear parcel shelf utilized plates. The factory radio location works fine for an aftermarket unit. 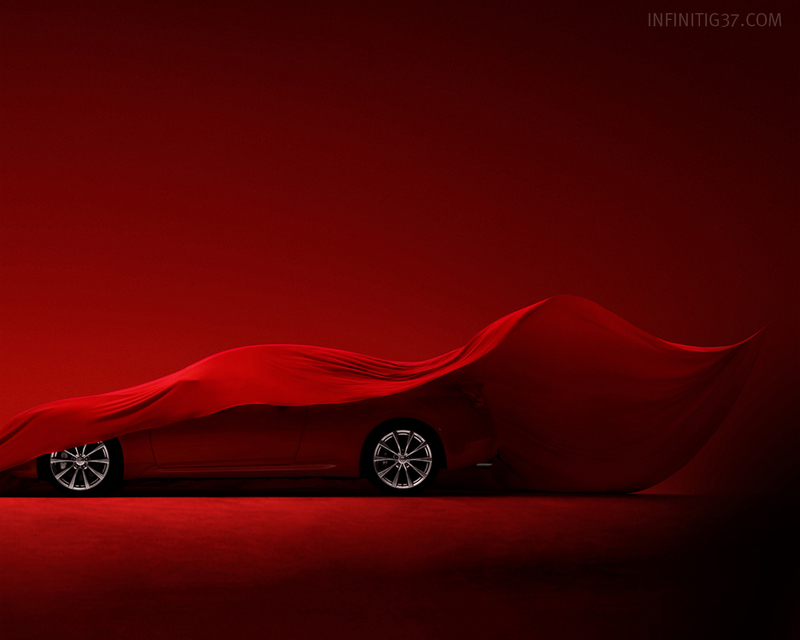 But, beware, the trim panel around the radio does somewhat limit which headunits may be utilized. Removable units will not work due to this panel but, removable faceplate units will. In order for units to be installed, the outer edge of the unit will need to be removed. Adding half-din equalizers will also be tricky due to the angle of the console. The rear hatch area is very roomy. There are lots of possibilities for sub and amp locations. The spare tire well is roomy and should allow at a minimum 1.5cf of air space for a sub using the well as an enclosure. If components are added to the hatch-lid, is should be noted that stiffer struts would be a necessity. shaved down for clearance. Plans for the mid are to remove the factory grille and add a custom metal/cloth one that will allow more space for the mid to be angled to enhance the front soundstage. But, lots of things are on the drawing board. One such option would be replacing the current mid enclosure. A new enclosure would be created to fit between the door panel and the door. To create this, the door and the back of the door panel would be covered in plastic wrap. Expanding foam would be used to make a mold of the interior of the door. This mold would then be used to create a new sealed enclosure (this will require lots of work). But, all-in-all, the sound is pleasant even in its current condition. The rear stage is designed to add realism to the music. It is my standpoint that all of the systems sound should not come from the front. If this were to happen, it would bias the sound and make the system sound like canned elevator music with punch! When in a club listening to a band or at an actual concert, the majority of the sound is coming from the front. But, there are echos from the rear. I use my rear stage to recreate that ambiance. The current setup consists of a pair of 5.25 inch mids mounted in the factory 5x7 locations. These are mounted on wood baffles in a free-air configuration. Due to their location in the rear, they do not take away from the front stage at all. The rear tweeters are mounted slightly behind each rear seat-back on a flat location offered by the rear side panels. The tweeters are aimed directly up at the corner of the rear hatch. While some will argue against using tweeters for rear fill,I feel that just adding the mids would boost the mid levels being played by the front mids which will throw off the systems balance. The rear mid/tweet combo utilize a MB Quart passive crossover. When setup properly, the front passengers/driver cannot distinguish that there is rear fill until it is faded out, at which time, the sound can get a little lifeless. Rear passengers do not get a proper sound stage, but find rear-seat listening to be adequate. with the internal corners fiberglassed. The remainder of the hatch floor is covered by .5 in particle board. The amplifiers, crossover, and signal processor share this space and are surounded by a false floor. The box and false floor are all covered in matching carpeting. The hatch was to be the number one project on my list before selling the vehicle. To be brief the next stage of the sound system would have been a fiberglass enclosure to be built in the spare tire well. This would have allowed full use of the hatch if necessary and a more stealth look. The amps, crossover, and processor would be mounted on the hatch floor with a false floor covering them completely or they would be virtically positioned on the back of the hatch out of the way. The equipment would have had plexiglass covers, removable panels, and fan cooled. The picture above shows the location of the capacitor bank as was mounted to what was eventually the final audio configuration. This installation of the capacitors was temporary so the wiring was strangled to it instead of neatly run. The new installation will only utilize two of these capacitors which will be relocated to the right rear on the hatch area. The capacitor area will also be covered with plexi and have removable panels. The picture on the left is a shot of a previous installation. The false floor was in place for the majority of life but as more equipment was installed it was much more difficult to place them. Seen in the picture is the Precision Power A600 amplifier and the AudioControl 4xS crossover. The a/d/s ph12 being used at this time was mounted under the passengers seat. Unlike today where amplifiers have built in crossovers the PPI A600 nor the a/d/s amps had any form of internal filtering, thus, the need of the 4xS. prior to the system being removed (and vehicle sold) the system had been upgraded with an a/d/s ph15 amp and a Carver/KLW Phantom Bass processor. These components were mounted in the center of the raised floor below the other components. All mids and tweeters are connected via 14 gauge wiring. The front speakers each receive 50 watts from a dedicated channel of the a/d/s/ amp. The rear pairs receive 50 watts from the remaining two channels of the a/d/s/ amp and utilize a MB Quart passive crossover. The subwoofer is powered by the Precision Power A600 in bridged mode. This nets approximately 550 watts to the sub. 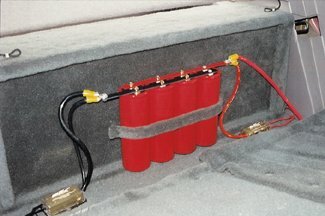 The sub is connected via 8 gauge wiring. This vehicle went through a lot of change during its life. 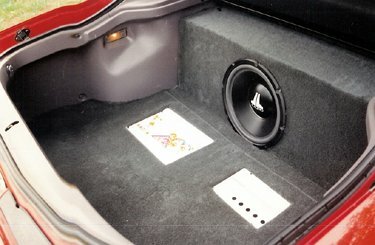 The first system used a Kenwood CD headunit, Rockford Fosgate 5.25" mids and tweeters in the door, a/d/s ph12, USAmps 50HA sub amp, and a Orion 12" DVC sub installed in a 4th-order bandpass enclosure. Soon afterward a Rockford Fosgate PA-1HD pre-amp was installed in the dash below the radio. Both amplifiers were then replaced with just-released Adcom components that I really didn't like. Yeah, damn things could run at a dead short but they simply didn't have the headroom nor punch I wanted. It is at this time the MB Quart, PPI, JL Audio components were put in. No, I was never satisfied and always wanted more. Isn't that to be expected of a hobby? MoodyM created content is Copyright 2012 by M.Moody, All rights reserved, this material may not be copied or reprinted without written permission. 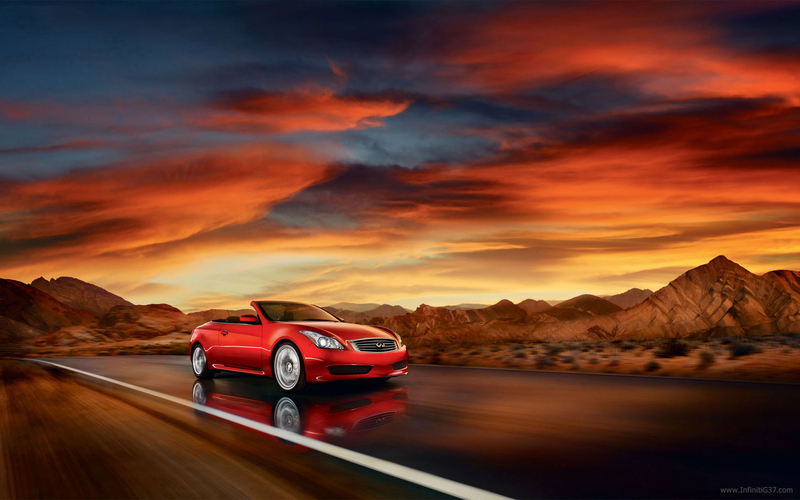 This site is not affiliated with nor endorsed by Nissan Motor Company nor Nissan North America. 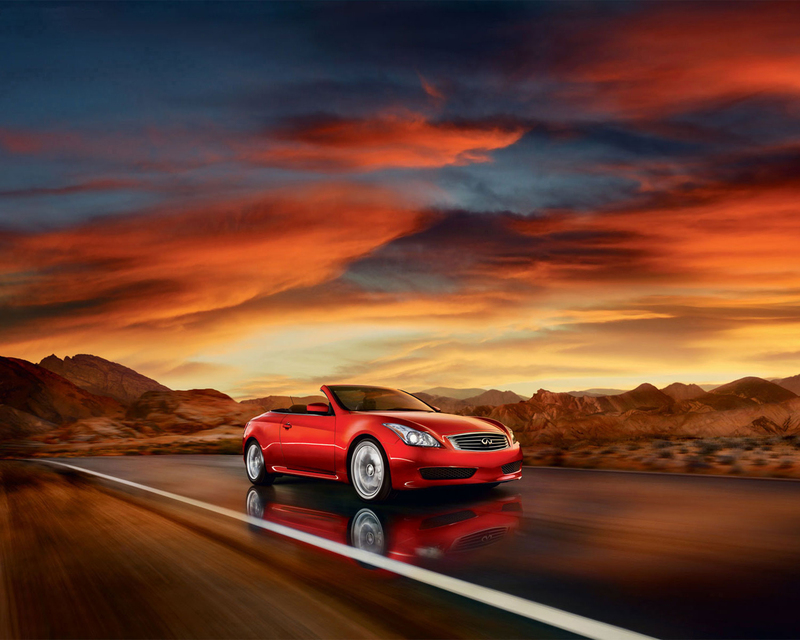 Related information is used based on Nissan Media TOS for non-commercial use.